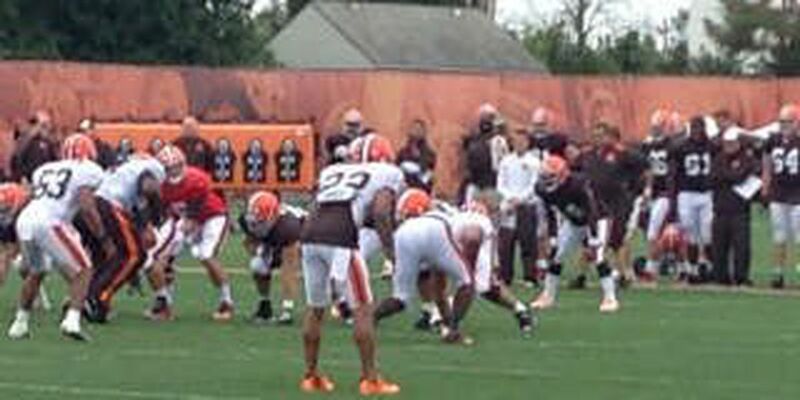 BEREA, OH (WOIO) - Pads went on for the first time at Browns Training Camp Monday and it was another packed house! Former Bengal Andrew Hawkins looked impressive, catching everything thrown to him. We also got an update on offensive lineman Jason Pinkston. He has not been medically cleared to participate in football activities. No further information will be released. Fellow rookie Chris Kirksey intercepted a Johnny Manziel pass and ran it in for a touchdown. If you want tickets to a Browns practice session, you must register online. Tickets are FREE. Did we mention there was a zipline at Training Camp? The zipline will make another appearance at the August 1 and 13 Browns Training Camp days.